When developing an embedded system, the number and type of inputs and outputs need to be determined. After the hardware requirements have been established, the program need to be written and tested. Once the size of the program known, the chip memory size can be determined. Today I will "talk" about PIC microcontroller programmer. A PIC programmer is a unit which interfaces the PCto the PIC microocntroller using PC's serial, parallel or USB ports. PIC programmer writes data to the microcontroller and reads it back for verification. 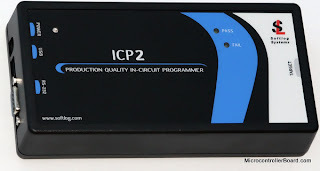 With In-Circuit Programmer (ICP) the PIC microocntroller does not need to be transfer from PIC programmer to the board. The user can program and/or re-program the PIC microcontroller while it is in the circuit. I want to share my best experience I had while working on my senior design project. 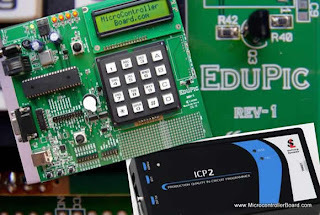 I have created a web site: http://www.microcontrollerboard.com/ where you can find ALL you need to SUCCED developing microcontroller projects with PIC microcontroller board. I got A+ on my senior design project. Recent Computer Engineer graduate with HONOR.